Bicycle Repair Hub is a small owner/operated mobile bike service and repair operation. Without question, the ultimate goal of Bicycle Repair Hub is to make bikes safe to ride while providing our clients with exceptional service and value! Value not only in dollars but also time! That means going above and beyond the industry standard for Calgary bike service and repair. For us, no bicycle service or repair is too small or too time consuming. A properly functioning and safe bike should be obtainable for anyone, not just avid cyclists. There are few things better than seeing the smile on someones face after repairing a bike for which seemed unfixable (or too expensive to fix). That is why I do what I do! I have always had a passion for bicycles. As a child, I was the lucky recipient of hand me down bikes, usually 5 sizes too big! As a teen, I managed to scrounge up enough money from my paper route to buy a brand new bike! Free bike tune ups for a year were included in the sale of my new bike which I thought was a super deal! I brought my bike in for service and got it back 2 weeks later. Long story short, my bike was as bad, if not worse than it was before I took it in for service! It was the first and last time I took my new bike in for my “free tune ups”. I decided that taking a wrench to my own bike couldn’t be any worse than what that “professional” mechanic did. In the years following that decision, I’ve held 2 positions as a bike mechanic working on all types of bikes including city bikes, hybrid bikes, mountain bikes, and road bikes. Fixing bikes naturally lead to learning how to build custom bikes and hand brazed steel frames. My homemade long john cargo bike. My daughters favourite way to travel to school. 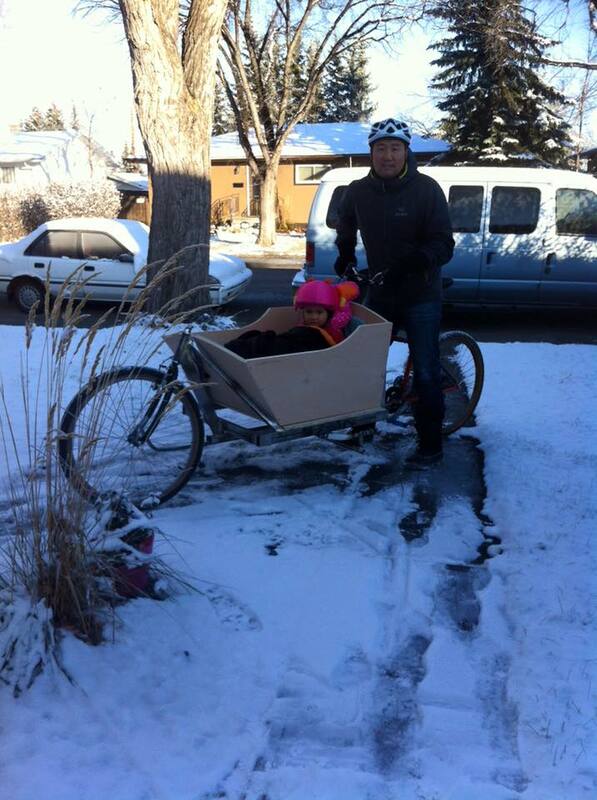 You may see this cargo bike in your neighbourhood doing bike tune ups.